As I’m about to enter the Kellogs Book Kingdom – Breakfast Booking Reading in The Grounds, Alexandria, I’m immediately transported to a wondrous Wonderland as I walk along the yellow brick road and am greeted by Dorothy. I pass through an archway into an enchanted forest; to my left is a mushroom garden with children’s stools in the centre, a giant pink tea-cup, a throne in the corner and the floor is peppered with rose peddles. To my right is a very inviting nook filled with children’s books and bean bags and in the heart of this enchanted forest, a boast of the Mad Hatters tea party with a twist of serenity. I’m surrounded by pastries, muffins, fruit and yoghurt, teacups filled with cornflakes and glass jars with fresh cold milk. 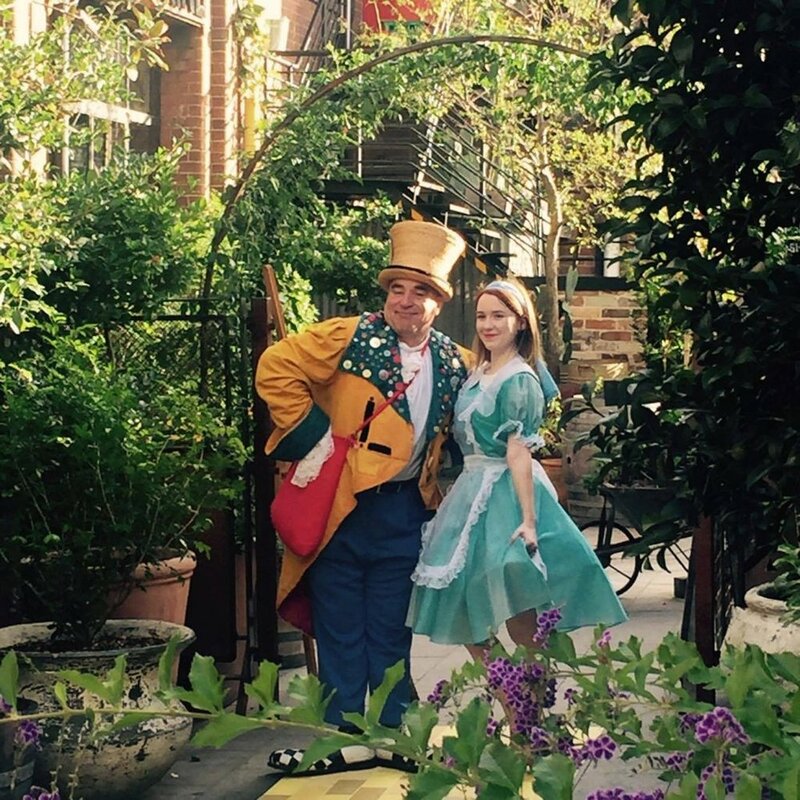 We spend some time along the yellow brick road taking pictures with the Mad Hatter, Alice, Dorothy and our guest and Kellogs ambassador for the morning - Shelley Craft. Back in the forest, the hustle and bustle begins as the energy rises with more grown-ups arriving and I find myself engaged in stimulating conversations with such a diverse range of people. Just as I’m about to indulge in a wild berry muffin, a stampede of excited and bubby children fill the forest and rush to sit on the stools in the mushroom garden. The children are immediately captivated as Shelley introduces the read with Alice in Wonderland. The atmosphere is filled with oohs, ahhs, giggles and fun. Over to the nook with the bean bags where Penguin children’s author, Felice Arena ignites the children’s energy with activities filled with dancing, a role play of slow motion football and of course free book giveaways!It’s time for the children to head to school but not before an opportunity to celebrate their new books in a group photo with Shelley and Felice. With a skip in their step, the children leave but not without taking the enchanted forest with them in their hearts and minds, ready to tell all their friends and mum and dad when they get home! Special thanks to beautiful Sirine Demachkie for sharing this magical breakfast with Dani & Co.